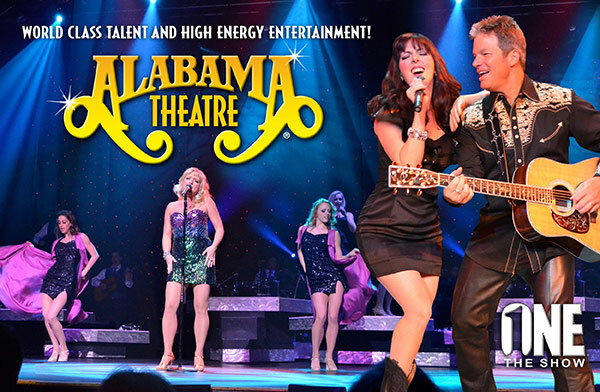 The Alabama Theatre was recently voted the #1 Live Entertainment Theatre by Myrtle Beach visitors and locals and was nominated for CMA Venue of The Year. The theatre hosts a variety of shows, a concert series, and a seasonal and very popular holiday show in November and December. The Alabama Theatre’s Guest Artist Concert Series showcases top-selling artists like Josh Turner, Loretta Lynn, The Temptations & Four Tops, and many more. Alabama Theatre Discounts: Groups, children, two-show special, seasonal promotions. Barefoot Landing is a huge shopping, dining and entertainment complex located in North Myrtle Beach. 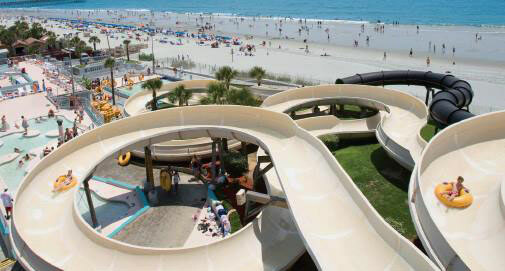 The area is filled with things to do and is home to a pair of the top entertainment venues in Myrtle Beach. 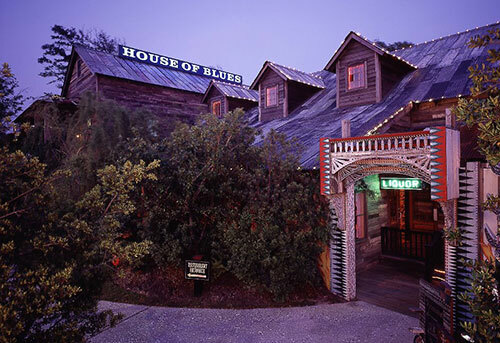 There's the House of Blues, a large live music hall and restaurant and The Alabama Theatre, home to some of the beach's best variety shows and concerts. During the summer months, Barefoot Landing hosts SummerFest a celebration of the season with weekly fireworks shows as well as outdoor performers, family entertainment and much more. Barefoot Landing is home to a variety of specialty stores and gift shops. Dining options are plentiful and there’s something for everyone! Moored in quiet dignity and majesty the Battleship NORTH CAROLINA, across the river from downtown Wilmington, beckons visitors to walk her decks. Envision the daily life and fierce combat her crew faced in the Pacific Theatre during World War II. From all across our nation, young men who had grown up in the crucible of the Great Depression were now determined to serve their country in its time of need. Their stories are told through oral histories, photographs, and mementos as you walk through the ship and its exhibits. Experience what it’s like to steer the ship, start the engines and fire the guns. 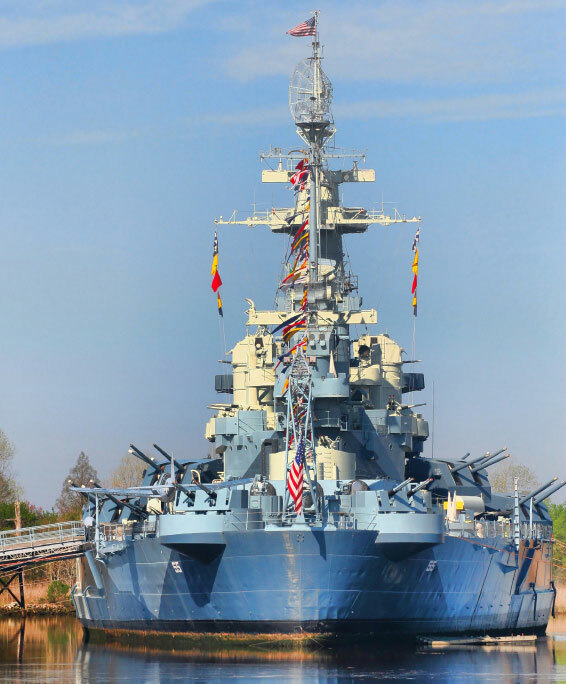 Battleship NORTH CAROLINA Discounts: Groups, military, senior citizens, children, members. The Big D – Large Format Digital Experience features bigger screens, bigger sound and bigger, more luxurious seats providing the ultimate movie experience. 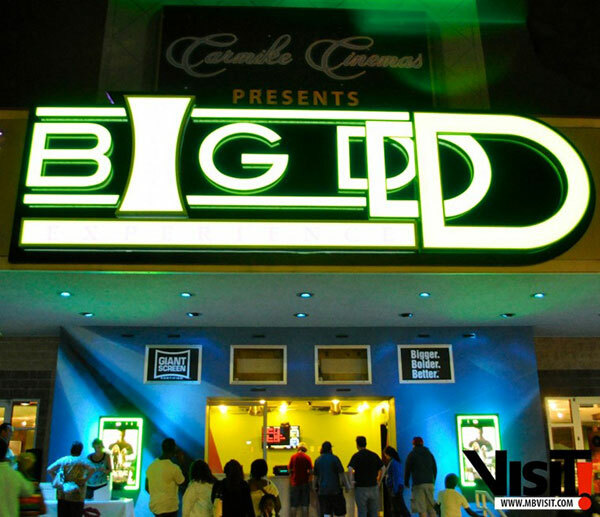 Big D is the Carolinas' biggest movie going experience ever and places you right in the middle of the action. The auditorium features a huge wall to wall giant screen measuring 82 feet wide and over 3 stories tall, custom luxury leather seating, the latest in 7.1 surround sound and digital projection for both 2D and 3D feature films. Experience your next movie in the Big D.
Big D Theater Discounts: matinees, children, seniors, super bargain specials. Step aboard one of South Carolina’s only luxurious gambling cruises. Two cruise ships in two different locations are available for your convenience. 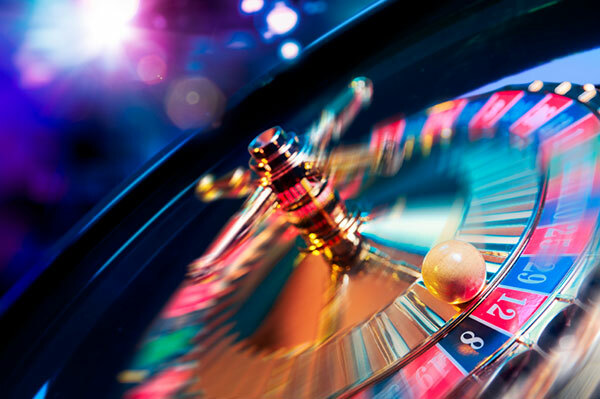 Enjoy Las Vegas style gaming including Blackjack, Craps, Roulette, Let It Ride, 3 Card Poker, Texas Hold'em Poker, and the newest and loosest slots. All cruises have an all-you-can-eat buffet with nightly specials that are sure to please. Big "M" Casino Discounts: special discounts, seasonal promotions. 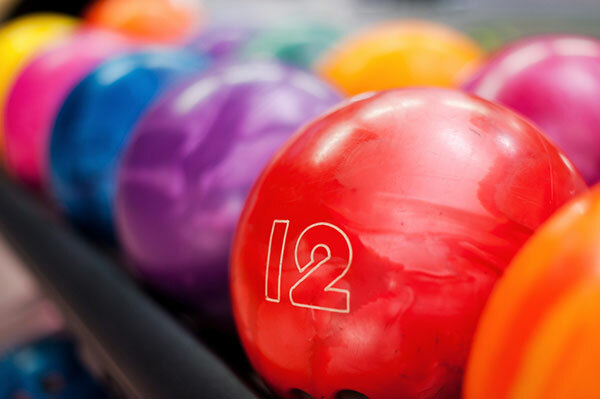 Family fun and a community spirit is what you’ll find at Brunswick Bowling Center. Come and explore this hidden gem where it’s all bowling all the time. Take a break from the flashier forms of entertainment and enjoy good old-fashioned fun with family and friends. The Spare Time Sports Cafe is also on site if you’re looking for a drink and quick bite to eat. Brunswick County Bowling Center Discounts: Family Days on Sundays, group discounts, league play, drink discounts. A major pre-Revolutionary port on North Carolina's Cape Fear River, Brunswick was razed by British troops in 1776 and never rebuilt. During the Civil War, Fort Anderson was constructed atop the old village site, and served as part of the Cape Fear River defenses below Wilmington before the fall of the Confederacy. Colonial foundations dot the present-day tour trail, which crosses the earthworks of the Confederate fort. Today as you walk the site, you’ll see the archaeological ruins of the foundations of the colonial kitchens, home sites and various outbuildings that once stood as a colonial port town. 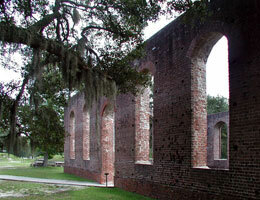 The shell of the colonial church, St. Philips, stands majestically among the old trees. The town was destroyed by the British during the Revolutionary War and was never rebuilt. Confederate earthworks were built on top of the ruined town in 1862 and left abandoned in 1865. Today, because it has been left untouched, Fort Anderson stands as one of the most pristine intact coastal fortifications in the United States. Outdoor exhibits, dotted along the ADA walkway, help give you an understanding of the colonial town and the Civil War-era fort, and allow total access to the entire tour trail. 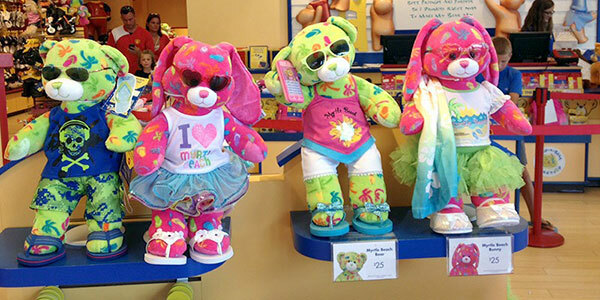 Build-A-Bear Workshop is where your child grabs your hand and your heart and together you're inspired to create. Here, everyone is empowered to imagine, and every bear begins a story. Bring your loved ones, and see how building a furry friend is building so much more. What exactly happens when you step into a Build-A-Bear Workshop store? You bounce, skip and giggle your way through our interactive bear-making stations, creating your very own personalized stuffed animal. With more than 30 furry friends to make and hundreds of outfits and accessories to choose each Build-A-Bear experience is a new one. Adults can join in the fun, too, and make a personalized gift perfect for any occasion or celebration. 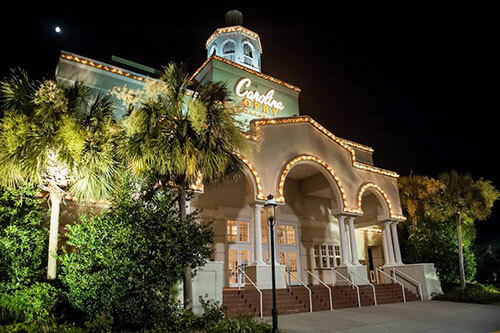 The Carolina Opry has been thrilling Myrtle Beach visitors for over 30 years. The award-winning show blends two hours of high-energy music, comedy and dance! Highly acclaimed by The New York Times, USA Today, NBC Nightly News, and CNN, The Carolina Opry is the only show to be named "Top Attraction in Myrtle Beach” by CNBC. The Carolina Opry has won every major South Carolina tourism award including Most Outstanding Attraction and the prestigious Governor’s Cup. Shows nightly at 7pm at The Calvin Gilmore Theater, dark on Sundays. Carolina Opry Discounts: Season passes, group discounts, two-show deals. Enjoy a movie night out with the family during your beach vacation. 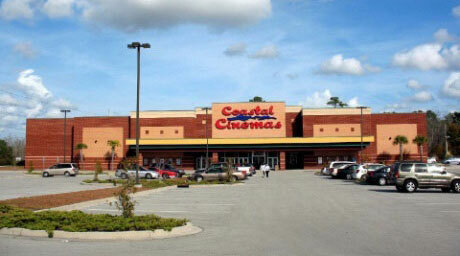 The theater offers a wide range of movies and show times for your convenience and movie-going pleasure. Coastal Stadium 10 Discounts: Group discounts, Tightwad Tuesday deals, concessions. Family Kingdom Amusement Park has been entertaining families for more than 45 years. It opened as Grand Strand Amusement Park in 1966. Family Kingdom is a 13-acre amusement park with 37 rides. 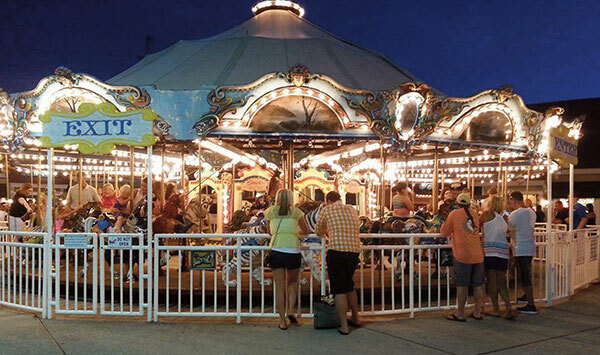 It provides the complete amusement park experience with thrill rides, kiddie rides, attractions for all ages, free entertainment, midway games, and traditional park temptations such as funnel cakes, cotton candy and corn dogs. As the only seaside amusement park in Myrtle Beach, it provides panoramic views of the ocean and the Grand Strand from atop its open gondola ferris wheel, the Giant Wheel. It is also home to the legendary Swamp Fox wooden roller coaster, one of only 115 wooden coasters still operating in the United States, and the only one operating in S.C. Family Kingdom is one of the few remaining free-admission parks in the U.S. There is no admission price to enter the open park, and ride tickets can be purchased independently. 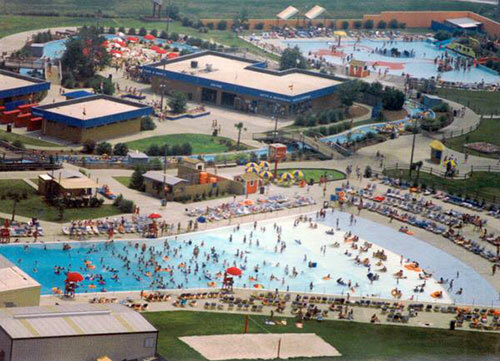 Renowned for its stunning views of the Atlantic Ocean, Splashes Oceanfront Water Park is a two-acre, independent, full-scale water park located on 500 feet of ocean frontage across Ocean Boulevard from Family Kingdom Amusement Park. It features 18 attractions including three serpentine water flumes, two speed slides, and two intermediate slides and a 425-foot Lazy River. Splash pools feature two rain trees and a multi-tiered waterfall, and there are eight kiddie slides. Family Kingdom Seaside Amusement Park Discounts: All-day ride wristbands, waterpark combos, group discounts. The N.C. Aquarium at Fort Fisher connects visitors with the wonders of nature and aquatic wildlife. Make connections with the natural world. Touch a stingray. Wonder at baby sea turtles. Talk to a diver swimming with eels and sharks. Explore more, together. See why visitors vote the Aquarium a top regional and national attraction each year. 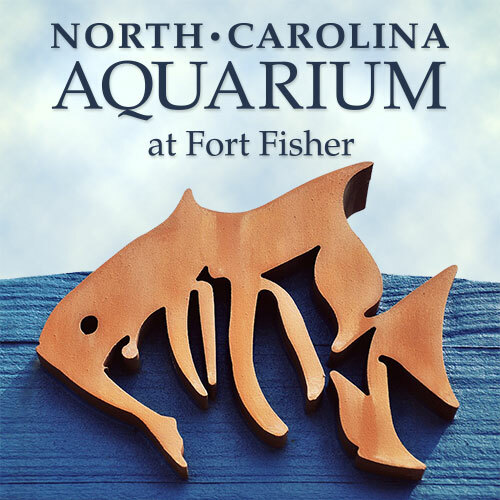 The N.C. Aquarium at Fort Fisher is located in Kure Beach on an island along on the coast of southeastern North Carolina, near the convergence of the Atlantic Ocean and the Cape Fear River. The Aquarium is 20 miles south of Wilmington and a short ferry ride across the river from Southport. Harbour View is a golf facility with fun for the whole family all in one spot. The driving range is rated one of the top 50 in America. It has large turf hitting areas, as well as the most practice mats in the Grand Strand. The par 3 has beautifully maintained fairways and manicured greens. If it is family entertainment you are looking for then you must visit Tribal Island. 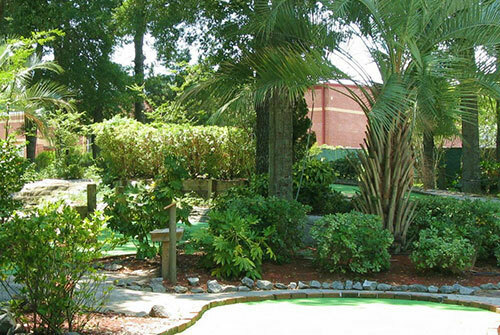 It is one of the most dynamic miniature golf courses you and your family will ever play. If 36 multilevel putting greens scattered through caves and palm trees aren’t enough for you then wait until our Tribal Island exclusive Volcano fire eruption show goes off while you are putting. All facilities are fully lighted for your evening play! Voted #1 in the Carolinas and Top 50 Ranges in the U.S.
Harbour View Golf Discounts: Coupons available online. The Holden Brothers Farm Market specializes in locally grown produce. A majority of their fruits and vegetables are grown on 250 acres of the Holdens' land off of Highway 17. In order to offer their customers variety, the Holden Brothers supplement their stock with out-of-season fruits and vegetables from other farms in North and South Carolina. But it’s not just produce you’ll find here. They also sell homemade jams, local honey, boiled peanuts, candies, a variety of homemade items and so much more. Seasonal pick your own strawberries and tomatoes, too. Shop local, buy local! Visit Ingram Planetarium in beautiful Sunset Beach, NC and see the universe up close. Ingram Planetarium is a state-of-the-art facility with a 40-foot domed ceiling and a high-definition digital system with surround sound. View a Sky Theater astronomy show, come to an evening Star Party, or rock to a laser light and music show. Enjoy the interactive and entertaining exhibits in the free Paul Dennis Science Hall including ViewSpace, an exhibit that features a continuous NASA broadcast. Experience Category 1 hurricane force winds in the Science Hall’s Hurricane Simulator. Visit the Planetarium’s sister facility, the Museum of Coastal Carolina, located only 4 miles away in nearby Ocean Isle Beach. Present your Planetarium receipt at the Museum and get $1 off admission. Ask about the reciprocity agreement with The Children’s Museum of Wilmington. Ingram Planetarium Discounts: Groups, museum members, seniors, children, and museum discount. Private island beach rides, waterway trail rides and pony rides for everyone in the family of every skill and experience level. Saddle up and have a blast at Inlet Point Plantation, featuring horse rentals and riding for every kind of adventure enthusiast. Have a great time with one of our amazing, beautiful horses on a peaceful tour though the plantation, all at a breathtaking location that you won't easily forget. Rides are offered year round. 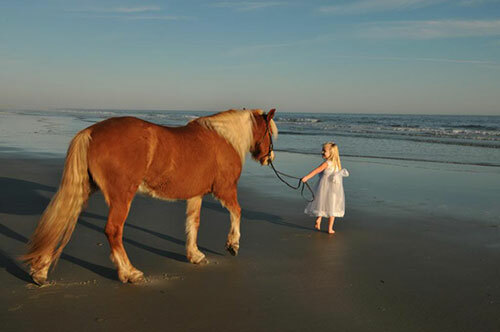 Inlet Point Plantation Stables Discounts: Combination ride discount , group horse ride discount, package options. Jungle Rapids brings family fun in many forms with a waterpark, arcade and games, laser tag, a kids jungle, rock wall climbing, jungle miniature golf, mini bowling, sky tower and more. You won’t run out of things to do here, rain or shine. Jungle Rapids Family Fun Park Discounts: groups, season passes, combo passes, children, senior citizens, evening special from 4-6pm. La Belle Amie, meaning "the beautiful friend,” is the European origin of the family name and is home to Twisted Sisters wine. 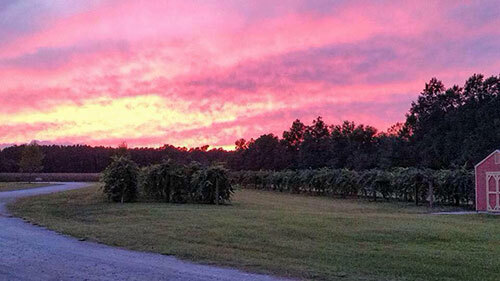 The vineyard is part of a former tobacco plantation that has been owned by the Bellamy family since the 1800s and is an operating vineyard open to the public. Vineyard guests are invited into the wine tasting room to sample private label wines and a variety of specialty finishing and dipping sauces, dressings, mustards and more. The gift shop features a nice selection of wine accessories and unique gifts. Afterwards, relax on the front porch in our rocking chairs, have a glass of wine, and enjoy the peacefulness of the farm. You can find a little bit of everything at this combination pizza place, hot dog joint and new American cuisine meets mini golf. Family fun abounds with a casual dining setting, miniature golf, ABC permits, delivery, and daily specials. Travel through the mists of time to a forgotten age and a tale of devotion, courage and love at Medieval Times Dinner & Tournament. Imagine the pageantry and excitement that would have been yours as a guest of the king ten centuries ago. That’s exactly what you will experience at North America’s most popular dinner attraction. See an electrifying show featuring heroic knights on spirited horses displaying the astounding athletic feats and thrilling swordplay that have become hallmarks of this unique entertainment experience. Enjoy a "hands-on” feast as the dynamic performance unfolds before you. A sweeping musical score and brilliant lights provide a fabulous backdrop for this spellbinding experience that blurs the boundary between fairy tale and spectacle! 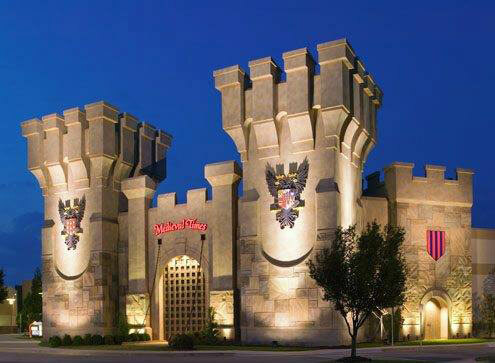 Medieval Times Discounts: three ticketing packages to choose from, children and group discounts available, web discount codes and specials. 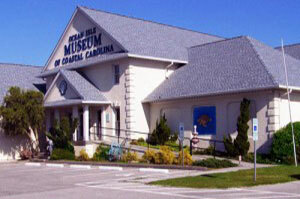 Visit the Museum of Coastal Carolina, a natural history museum located in beautiful Ocean Isle Beach, NC. View collections of fossils, sea shells, shark jaws, and Native American artifacts. Walk through the Ocean Reef, a seascape diorama with life-size models of sharks, dolphins, sea turtles, fish, and crustaceans. Touch live sea creatures such as sea stars, whelks, conchs, sea anemones, hermit crabs, and more in the Sea Shore Gallery’s Touch Tank. Gaze at a 225-gallon aquarium that depicts a colorful NC hard bottom reef. Walk under a sand dune in the Legacy of the Sea Turtle Exhibit, watch a video of nesting sea turtles that was filmed right on Ocean Isle Beach, and learn about the life cycle of these amazing animals. Experience hands-on exhibits and view wildlife dioramas depicting the plants and animals that live in the Green Swamp, barrier islands, and coastal plain. Conveniently located next to a playground and only one block from the beach and fishing pier, the Museum hosts special programs and events throughout the year. 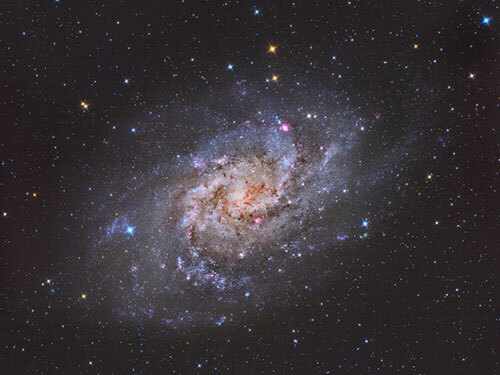 Visit the Museum’s sister facility, Ingram Planetarium, located only 4 miles away in nearby Sunset Beach. Present your Museum receipt at the Planetarium and get $1 off admission. Ask about the reciprocity agreement with The Children’s Museum of Wilmington. Museum of Coastal Carolina Discounts: Groups, museum members, seniors, children, planetarium discount. South Carolina's largest water park, presents 20 acres of swerves, curves, waves and chutes and more than one million gallons of family fun. One price covers all rides and attractions for a full day of cool fun and includes the very next day FREE! Extreme water attraction, The Rockin Ray, was the newest addition in 2015. Visit the website for special events and promotions throughout the season. 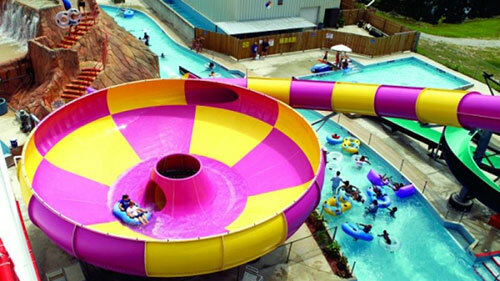 Myrtle Waves Water Park Discounts: special events, seasonal promotions, season passes. Odell Williamson Auditorium is located at Brunswick Community College and plays host to a variety of concerts for your listening and viewing pleasure. This center for the arts has a full lineup of guest performers, concerts and shows for every age and interest. See what’s playing and get your tickets! The Palace Theatre is located at the heart of Myrtle Beach in the award winning Broadway at the Beach entertainment complex. The Palace Theatre offers up some of the greatest and most spectacular live entertainment shows, broadway theatre productions and musicals from around the world. The theatre itself is an impressive 63,900 square feet and features a nearly 7,000 square foot, golden-domed lobby with three crystal chandeliers and a winged staircase leading up to the mezzanine level, so yes, it really is palatial. There is a gift shop on premise as well as concessions. Palace Theatre Discounts: Group discounts, combo ticketing with other area attractions available. Take me out to the ballgame! 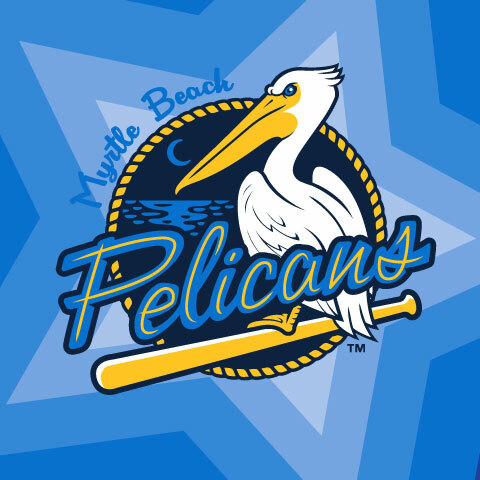 Whether you are a baseball fan or someone who just enjoys a fun night out, it is not hard to enjoy yourself at Pelicans Ballpark. The park provides a little something for everyone, and is just an overall great stadium experience. In 1998, a new home for the new ballclub in town was built and was dubbed Myrtle Beach’s "Field of Dreams.” Baseball was officially back at the beach. The Pelicans debuted in 1999, and with the team as green as the grass at the new ballpark, the victories began to mount. The newest and freshest team in the historic Carolina League burst onto the scene and made an immediate impact and still does today. Pelicans Baseball Discounts: Daily promotions, group discounts, memberships. Ahoy Mateys! Celebrate the pirate spirit with fun and adventure as you join Captain Blackbeard, the most famous pirate to ever sail the seven seas, and his quartermaster Calico Jack as they lead the Crimson and Sapphire crews in an epic battle for lost treasure on land, on deck, in water and high above full-sized pirate ships in a 15 foot deep indoor hideaway lagoon. Enjoy swashbuckling excitement of spectacular acrobatic competitions, aerial feats, sea lions, tropical birds, beautiful mermaids and much more. Which camp takes the treasure may be up to you as you cheer the buccaneers to victory, all while indulging in a fabulous four-course feast. 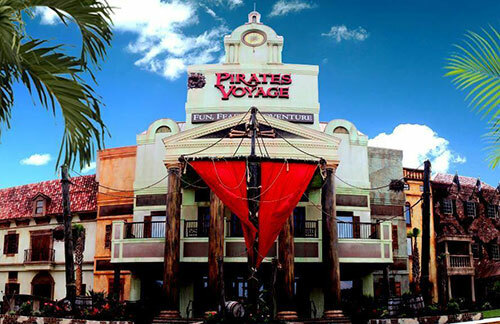 Pirates Voyage Dinner & Show Discounts: Group discounts, Ripley’s Aquarium and Wonderworks discount options. Planet Fun is Brunswick County's largest family entertainment center offering 32 lanes of bowling, a 2-story laser tag arena, a bumper car arena, a redemption arcade, bounce house, bowling pro shop, and the unique Starz Grille family restaurant. There’s a little something for everyone! Planet Fun Discounts: Seniors, all play specials. Immerse yourself in an aquatic adventure of your very own at Ripley’s Aquarium. The upper level features SLIME, Rio Amazon and Friendship Flats exhibits while the downstairs spotlights Rainbow Rock, Dangerous Reef, Discovery Center, Living Gallery, Ray Bay and Systems Control. Allow 2 hours for your visit and be sure to check out the live shows and experiences offered to you including Sleeping with the Sharks, the Sting Ray Experience, and behind-the-scene tours. Ripley’s Aquarium Discounts: Discounted online tickets, combo passes, discounts for AAA and AARP members, active and retired Military, and local residents. Enjoy a narrated cruise of the historic Intracoastal Waterway, touring all the way to the Little River Inlet, cruising through South Carolina's most pristine scenery. You will pass homes, marinas, and uninhabited islands, while all the time exploring for birds, sea turtles, and other marine life, along the way to watch the playful dolphin. You will pass by 2 unique fishing villages on the way to learn about the history of the area which includes civil war battles, pirate ship attacks, and geographical history. The boat will pick up speed as it approaches the blue granite rock jetty, which is the gateway to the ocean. 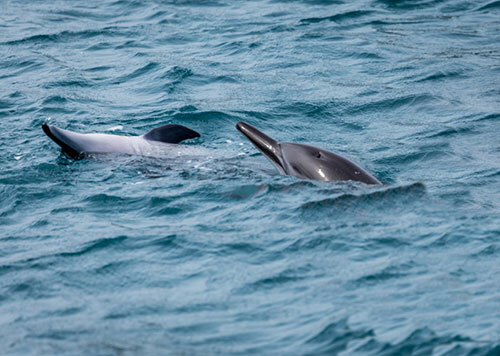 The second part of this popular cruise will be the exhilarating ride into the Atlantic Ocean to find the graceful dolphin on a safe speed boat ride toward the local shrimp boats that offer a natural feeding habitat for the dolphins. The third part of the cruise is the dolphin watch. Once the boat arrives at the dolphin sighting location the captain will slow down to an idle so everyone on the boat can get a good look at the dolphin. Seating on the boat is not an issue because weather there are few or many the dolphin can be seen from anywhere on the boat. Bring your camera and take home the memories. Dolphin sightings are guaranteed! SeaThunder Discounts: Group discounts, online purchase discount, coupons. Take a majestic tour and explore the ecological benefits of this natural environment or indulge in one of our many action activities we have on hand. You can choose from one of our three fun-filled activities or maybe do them all! Experience the area with our guided Zipline tours, climb on the Aerial Adventure Park, or relax and enjoy the Shallotte River on our Swamp Tour. For the more adventurous, climb to the top of the Main Tower and step off the Pelican Dive. It is sensational! Visitors take in a variety of natural sights and sounds that encompass this beautiful region. This is the perfect combination of adventure seeking and ecological education. With something for all ages, these spectacular adventures and breathtaking views are all here waiting for you! Silver Coast Winery is an active wine making facility, opened in 2002 by Maryann and her husband Dr. "Bud" Azzato. Silver Coast wines are modeled after traditional, classic, European styles. All wines are produced in-house by Award Winning Winemaker, Dana Keeler, with regionally grown grapes. Visit the Ocean Isle Beach location for daily wine tastings as well as tours of the full production facility. During your visit relax and have a wine tasting with one of the friendly staff, browse the gift shops and the eclectic art gallery. Silver Coast Winery Tasting Room in beautiful, downtown Southport, NC is another location. Visit there where you can do both wine and beer tastings as well as shop for gifts and wonderful art. Silver Coast Winery Discounts: Seasonal online coupons and specials. Since opening its doors in 2002, Sunset River Marketplace has evolved into Coastal Carolina’s go-to place for the hottest new contemporary art, exquisite artisan-designed jewelry, innovative pottery and more. Showcasing only artists from the two Carolinas, this eclectic spot boasts an amazing offering of clay art, oil paintings, watercolors, mixed media, pastels and acrylics, plus award-winning works in metal, wood, hand-blown glass, fiber, and other media. The welcoming gallery of fine art and crafts has become a destination for locals and visitors alike. You can feel the creative energy as you meander through the roomy 10,000 square-foot space enjoying the regional artworks on display. Located onsite are a pottery studio, complete with kilns and pottery wheels; a custom framing department. Visitors are invited to enjoy a cup of gourmet coffee or tea, or perhaps a glass of wine at one of the bistro tables dotted throughout the space. Or better yet, carry it with you as you wind your way through this warm comfortable space.